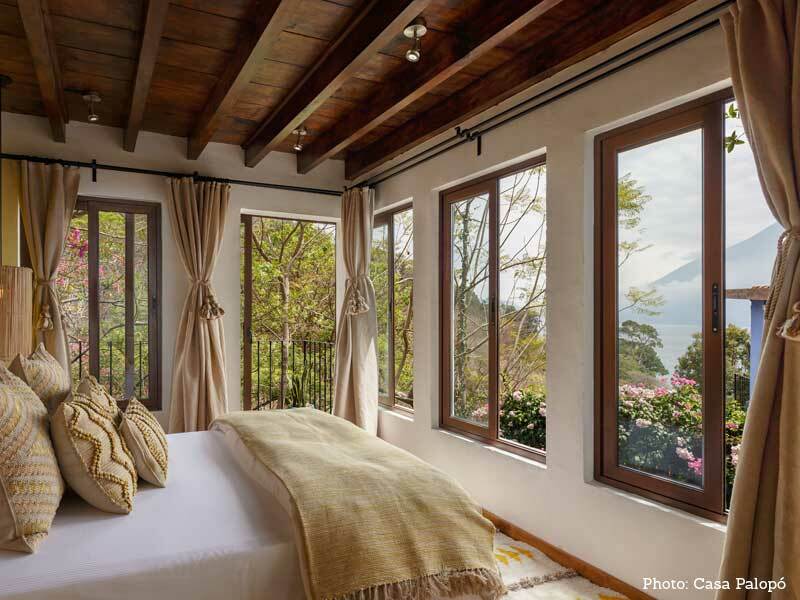 Perched on the edge of Santa Catarina Palopó, one of 12 Mayan towns dotting the shore of Lake Atitlán, Casa Palopó offers an exclusive, luxurious retreat for sophisticated travelers who value a rich dose of culture with their vacation experience. 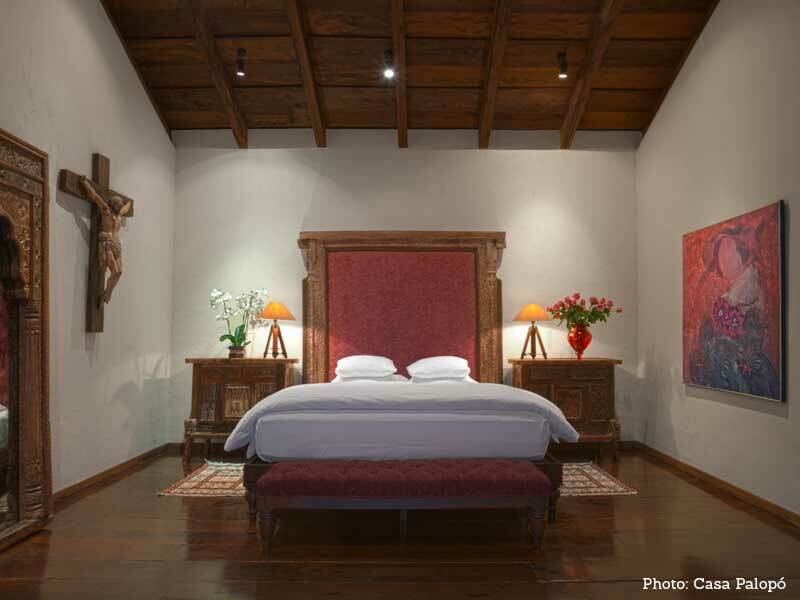 Once a private home, the original building housed seven rooms prior to the expansion, in addition to a separate three-bedroom villa located 150 steps above the main hotel. One of the existing rooms in the main hotel was taken out of inventory to be converted into a wellness area. 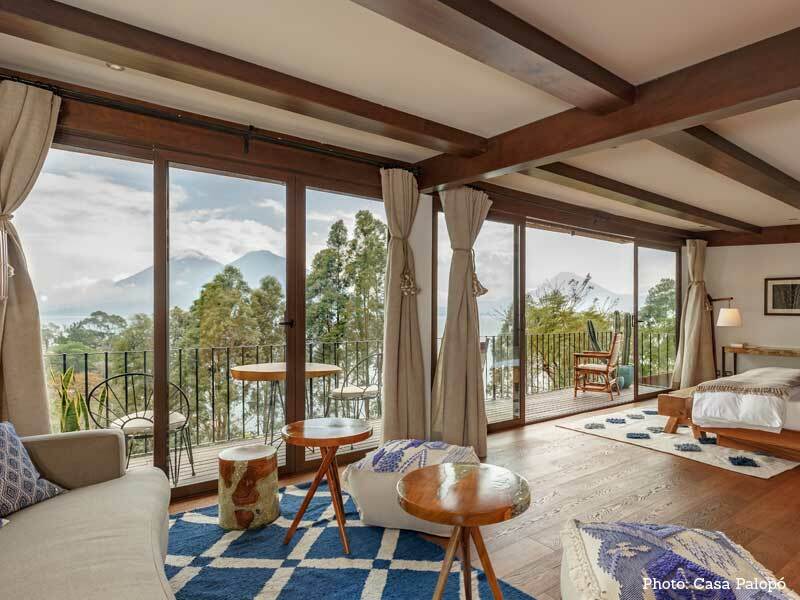 The new rooms and suites were built into a newly expanded wing of the main hotel, overlooking the pool deck with views of the surrounding greenery, lake and volcanoes just beyond. The new accommodations include one superior queen room, two deluxe king rooms, two king junior suites, and one king suite. 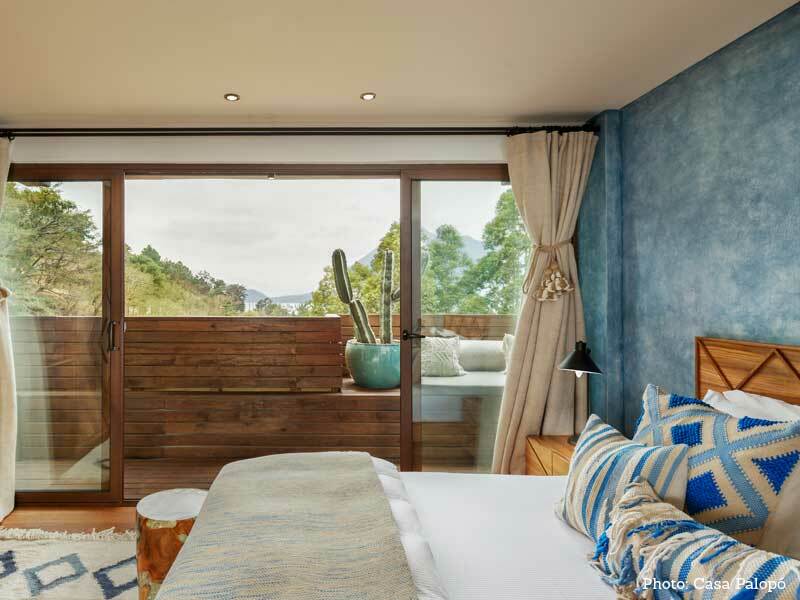 “Based on a growing demand for more rooms at Casa Palopó, it’s been in our long-term plans to expand, however, just enough to allow more guests to enjoy this cozy slice of heaven, while still keeping the level of intimacy, warmth and privacy only a property of our size can offer,” said Claudia Bosch, owner of Casa Palopó. 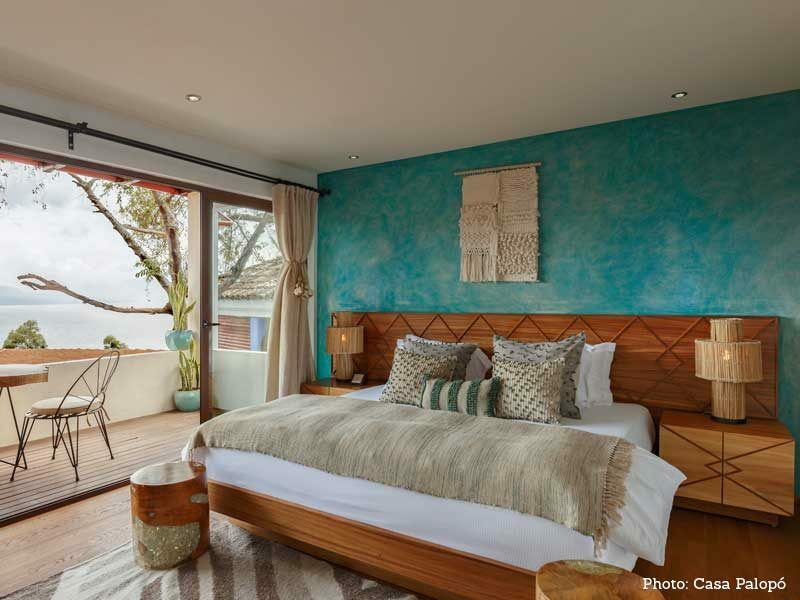 Boasting a more modern, contemporary look, yet keeping with Casa Palopo’s Indigenous-inspired charm, each new room features unique colour palettes that incorporate soft yellows, blues and reds, lavender, and neutral tones. 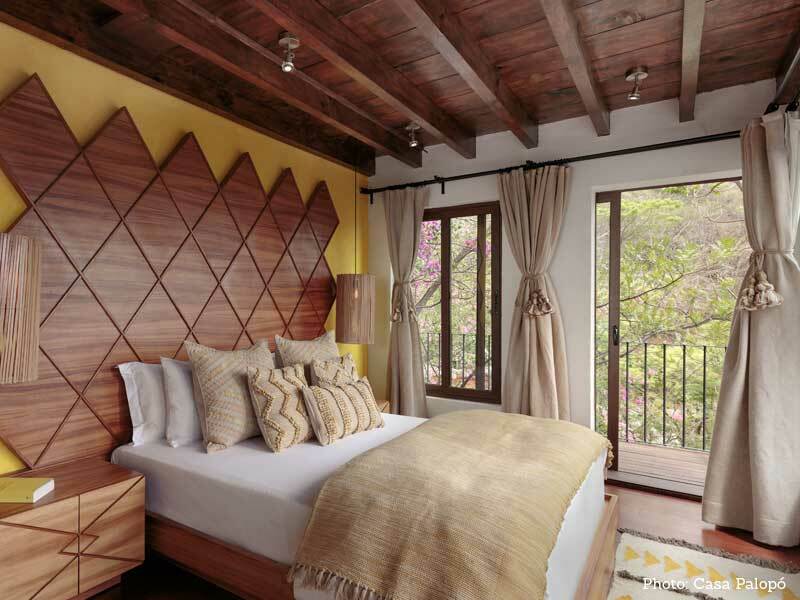 Furnishings are rustic with finished wood accents handmade by designer Diego Olivero, who worked closely with Casa Palopó on the stunning interior design, which includes hand-woven Mayan textiles, iron accents, and wool rugs and wall décor. Additional features include state-of-the-art bathrooms with glass-cased rainfall showers. Plans for later this year include a new wellness area featuring a fitness studio, a spa room with a Mayan-inspired treatment menu. 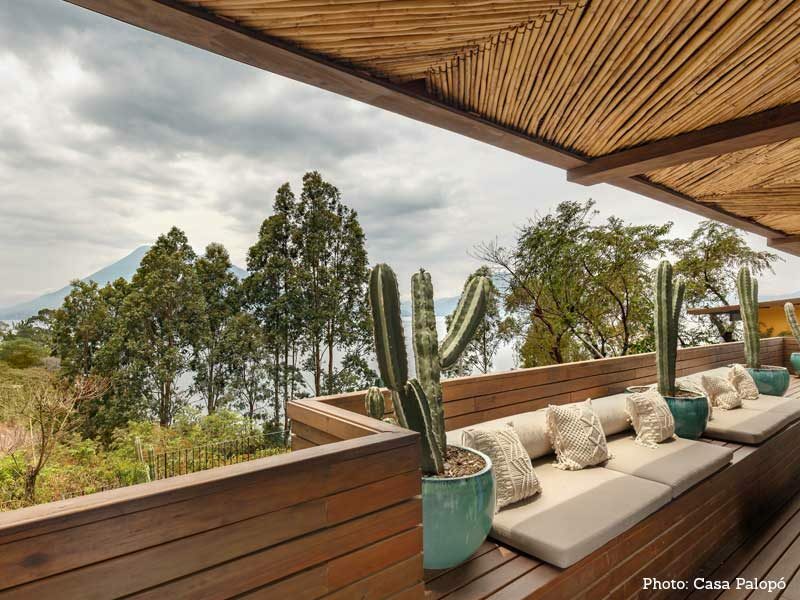 Casa Palopó is Guatemala’s first and only hotel in the Relais & Chateaux association of the world’s finest hoteliers, chefs and restaurateurs.